Roger Federer vs Rafael Nadal tennis matches are some of the most exciting and intense plays in tennis history. 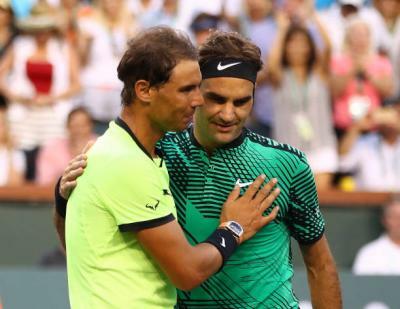 In an interview recently, the man widely reputed as the GOAT, Roger Federer commented on his rivalry with Nadal. The Swiss maestro agreed with the journalist saying that the Spaniard has been his toughest opponent in career. Federer is far behind 15-23 in the head to head meetings with the resilient Spaniard. 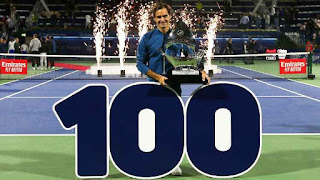 "For me yes, clear, and it will never change", said Federer. "Just because of his incredible lefty, geometry, kind of play with his top spin, finding my backhand whenever you want it, it is a natural shot for him to go cross court. It is a tough match-up for me. He always mixes it up. It's a tough play for me. I always knew that from the first day I played against him. Then of course on clay he is virtually unbeatable. But then again, Novak, his records in the last eight years have been tremendous, fabulous and I really enjoyed playing against Novak, our match up is always very exciting. Stan's power is unreal. So I like playing against all these guys but I don't forget the old generation who has been amazing to play against as I was growing up as well." Regarding his more recent four wins in a row against Nadal in 2017, Federer added: "Sometimes you go on better spells, I also did play on hard courts. If those four would have been on clay, probably I would have not won four in a row but you have to take while you can. He also beat me a lot of times on clay but he is a wonderful, wonderful player. I think because of me playing aggressive with my backhand, really having a free mindset, that's what allowed me to win so many times in a row." The amazing thing is how these to battle worn veteran tennis champions still continue to dominate the ATP tour and breaking even more tennis records in the process.